France is gifted with outstanding landscapes, beautiful cities reflecting the « French art of living. » To better discover and appreciate them, AVANTGARDE LIMOUSINES offers you circuits through the French Riviera, entirely customizable to explore its most delightful cities and villages. One common characteristic to these itineraries: a chauffeur driven luxury car to benefit from all the wished comfort and fully enjoy your trip. The different itineraries suggested below can be adjusted according to your budget, your schedule and your desires… Do not hesitate to contact us, we will be happy to answer your requests and propose a circuit in the French Riviera that will fit your expectations and take you to our beautiful Provence, our dazzling Côte d’Azur or our wonderful Rhône-Alpes region. 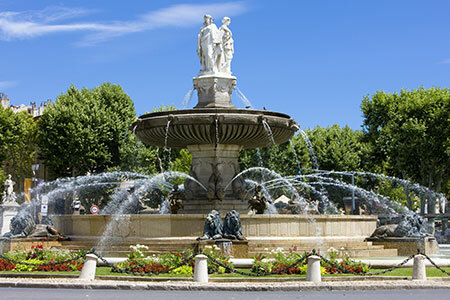 During this day, you will discover the Provencal market of Aix-en-Provence, its cathedral and the historical town center. After walking around the historical center for the first part of the day, you will be taken to Cassis and its splendid port where it is possible to have lunch while admiring the view of the beautiful Mediterranean Sea. You will then have the choice between walking around the village and taking a boat and discover the Calanques. Finally the day will end with a visit of Marseille and its Old Port. The basilica Notre Dame de la Garde and the fort Saint Jean are also included in the program. This circuit through the South-East is dedicated to the discovery of the Provence and the Lubéron. You will start with a walk through the Provencal market of Aix-en-Provence where you’ll be able to try out the local specialties. Then, you will discover the wonders of Avignon such as the renowned Bridge and the Château des Papes during a guided tour. You will have lunch in a gastronomic restaurant in Gordes. 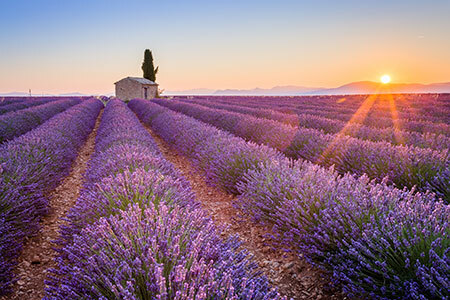 During the afternoon, you will admire the lavender fields while heading towards Sault in the Lubéron. The day will continue with a stop in l’Isle-sur-la-Sorgue, a charming village with its numerous antique stores. 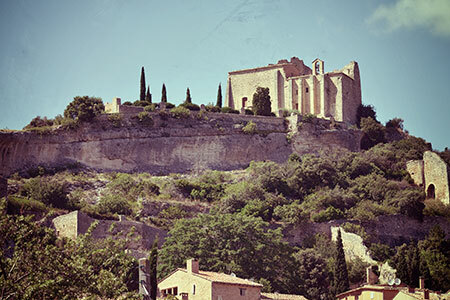 An itinerary in the South of France, which honors the French wine-growing know-how. During the morning, you will be free to visit the city of Avignon : its famous bridge, the Château des Papes, the rock of the Doms, the cathedral of Notre Drame and the Place de l’Horloge. After lunch, you will head towards Châteauneuf-du-Pape. There will be the opportunity for you to visit several wine cellars from the 12th century and enjoy a few wine tastings. As we want to make sure that you will enjoy this experience to the fullest, sommeliers and viticulture professionals will guide you and give you some advice during this wine tasting. This itinerary will make you travel back in time. In the morning, you will visit the antique city of Arles and its historical monuments: the amphitheater, the arenas, the church. You will then go to the medieval village Les Baux de Provence for lunch and stroll through the small stone lanes, remains of this ancient fortress. The afternoon will be dedicated to discovering Saint-Rémy-de-Provence where Van Gogh once lived. After visiting the different monuments of the city, you will stop at an oil mill, the opportunity for you to taste a few Provençal specialties such as the tapenade. This French Riviera circuit will take you on a discovery of the famous market flowers in Nice and the Promenade des Anglais where you will be able to walk and admire the view of the Mediterranean Sea. 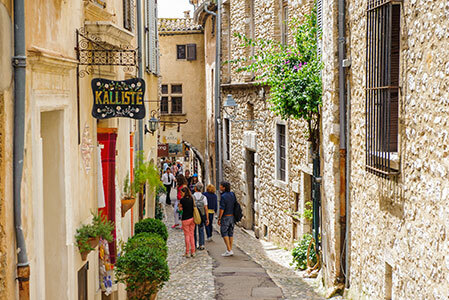 You will then go to the countryside to visit the sumptuous village of Saint Paul de Vence located on the mountains; its little streets hide numerous treasures. The typical games of Pétanque from the South of France frequently take place there. The day will continue in Antibes where you’ll be able to stroll along the port. Finally, you will head towards the famous city of Cannes, best known for its Film Festival, and its luxury hotels and boutiques. The day will begin with a visit of Nice, including the flower market and the Promenade des Anglais along the Mediterranean Sea. You will then head towards Villefranche-sur-Mer and Saint Jean Cap Ferrat, a seaside town located on a Presque-isle. You will have the opportunity to stop at the Fragonard Perfumery. 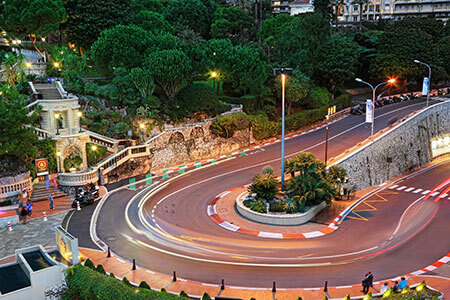 This South-East circuit will then end in Monaco and Monte-Carlo where you’ll be able to play at the Casino, visit the port, the Japanese gardens, the cathedral etc. A symbol of luxury holidays, Saint-Tropez is the ideal destination to enjoy a high-end chauffeured service. 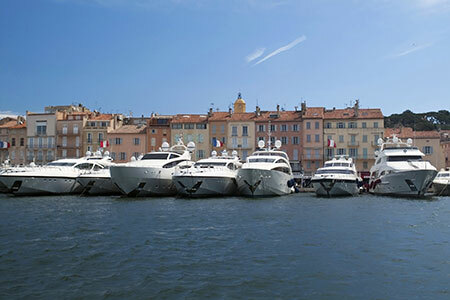 During this day, our chauffeur will take you to the village of Saint-Tropez where you’ll be able to talk a walk in its little streets, or stroll on the port and admire the boats, each one more beautiful than the one before. Sainte Maxime is 15 minutes away by boat. You’ll have the opportunity to walk with the sound of the « cigales » and the smell of the mimosa, very prominent in this little Provençal haven. Sainte Maxime’s old town center is characterized by Art Deco architecture. 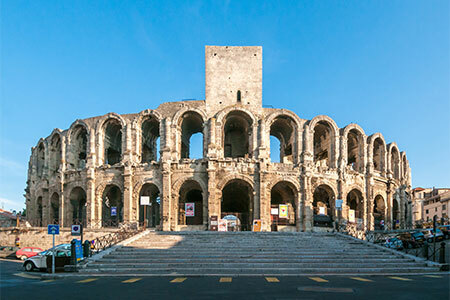 You will start this circuit in the South-East by visiting the city of Nîmes, famous for its Roman monuments such as the arena, the Cubic House and the fountain’s gardens you will then head towards Uzès, a splendid Provençal village where you’ll have the possibility to taste a few culinary specialties from the region of Provence. There are many historical monuments to visit, especially the castles of Uzès. 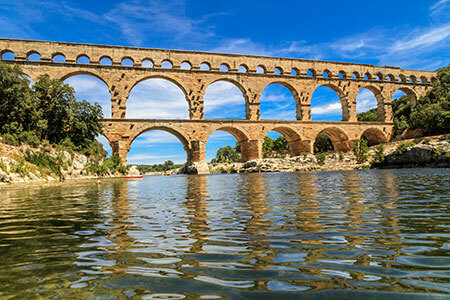 Not far from the city is le Pont du Gard, a necessary stop in your visit. This Roman aquaduct, built in the 1st century, is part of an exceptional site. Forty-eight meters high, it is listed as a UNESCO World Heritage.